Alice was at odds and ends. She was waiting for Something to Happen, though she knew that it has been said that people shouldn't wait for such a thing, people should make it so. Yes, she knew that. However, she decided to just wait for Something to Happen. She wanted fun, she wanted adventure, she wanted fate to step in and show her the way to the good life. She wanted to not have to clean the place. What she got was an email from her friend, whom she hadn't seen in several weeks. Her friend didn't write any news about her family or her art or her loves. Her friend didn't write anything; she just forwarded a chain email. Alice was number four on the chain. 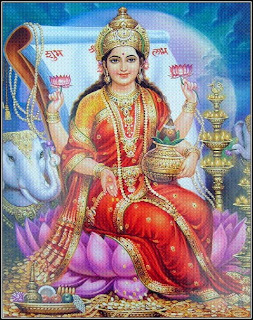 This is a Money Goddess Lakshimi. Pass it to 6 of your good friends, or family and be rich in 4 Days. Alice could not believe that her friend — just call her Daffy — would send her such a missive. She telephoned. ALICE: Yes, and what the hell, don't tell me you believe such nonsense! DAFFY: Right. So I sent it along to 12 people because I want this business to be over in 2 days. ALICE: 2 days. You expect to be rich in 2 days. DAFFY: She works, Alice, she really works! ALICE: And you know this, how? DAFFY: That's what my friend in France said. ALICE: Oh, is she rich yet? DAFFY: Noooo. But that's because she's only sent it to 6 people so it will take 4 days before she sees the results. ALICE: I'm deleting it, Daffy. DAFFY: You're making a big mistake! Just think. If you do this, you won't have to look for a job. DAFFY: ALICE! Now you'll never know what could've come your way! High winds and violent rain. That's what was coming. Alice heard on the radio that the Rabbit Hole was under a tornado alert. She went out to the balcony to bring in the yoga ball and the bicycle, and thought that given the circumstances, it wouldn't surprise her to look out the window and . . .
Not Lakshimi. No. It wouldn't be her.